• Announce your big upcoming event or remind others of your special occasion with this great magna-peel postcard. Perfect for any type of announcement or reminder, including company events, graduation parties, baby births, etc. 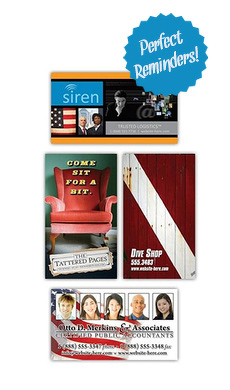 • Postcard is produced in full color, complete with a laminated finish. Includes a 3.5" x 2" business card magnet that is glued to the surface, conveniently placing your message and contact information all in one area. • Designed for 8.5" x 5.25" postcards. Size: 8.5 in. x 5.25 in.